is available in the Magic City! Since June, we’ve brought you great deals from coast-to-coast. Now, we’re excited to kick off in Miami with two great deals from Joe’s Stone Crab and Fandango. Buy your ticket in advance and breeze past the box office with today’s offer from Fandango. Spend $5 for one Fandango movie ticket (up to a $13 value) good at any of Fandango’s partner movie theaters. 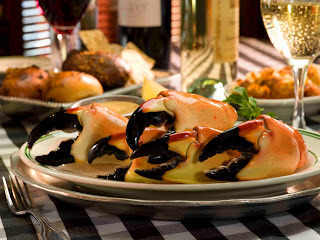 And keep your eyes peeled for our offer on Wednesday (Oct. 5th) for Joe’s Stone Crab. A family-run restaurant since 1913, this Miami legend will host an exclusive event on October 10th for Google Offers customers only. Wednesday’s deal gets you early access to the restaurant before they officially open for their 99th year in Miami. Spend $69 and get ready to enjoy Joe’s Signature meal (a $135 value), impeccable service and their famous Key Lime Pie. Yum! Check out www.google.com/offers (and get our Shopper mobile app on Android and iPhone) to subscribe to deals in Miami and find great deals in other cities across the country. Starting today, Google Offers is available in the Magic City! Since June, we’ve brought you great deals from coast-to-coast. Now, we’re excited to kick off in Miami with two great deals from Joe’s Stone Crab and Fandango.